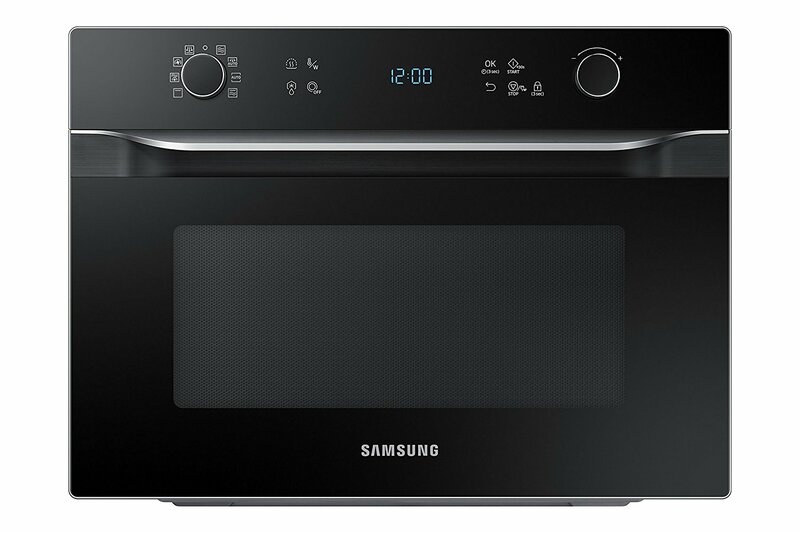 Samsung 35 L Convection Microwave Oven (MC35J8085PT/TL, Black) comes with amazing features that will provide great cooking result without any doubts. 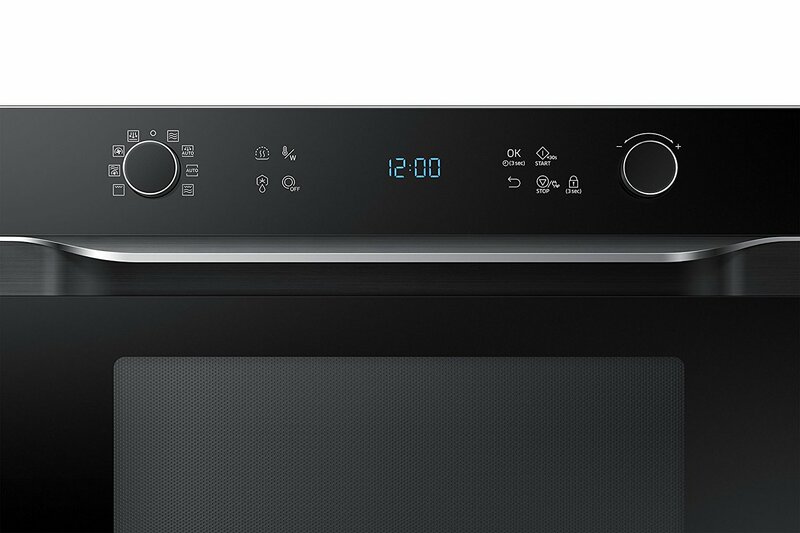 It perfectly makes crispy food as it comes with Crusty Plate that lets you make crunchy foods. The Crusty Plate is also very helpful to evenly bake and brown the upper and lower parts of frozen foods. This Crusty Plate is also very helpful to bake and fry without oil. 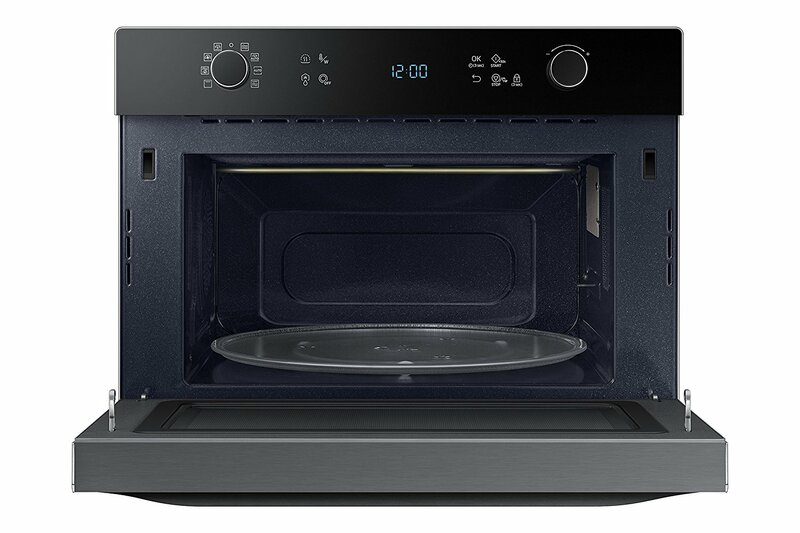 Samsung 35 L Convection Microwave Oven (MC35J8085PT/TL, Black) is also very helpful to prepare homemade yogurt anytime you want. It lets you make dough or yogurt with the help of its unique fermentation function. 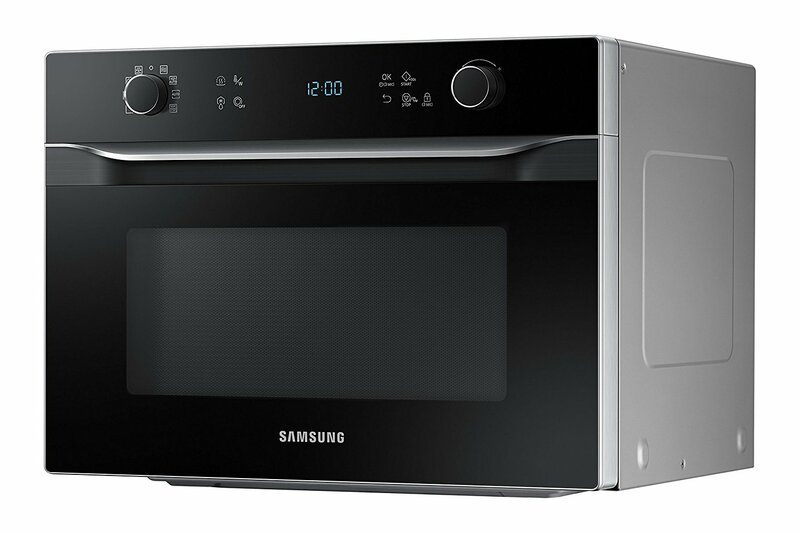 Further, Samsung MC35J8085PT comes with turntable on/off feature that lets you utilize every inch of interior space. You just need to simply disable the turntable rotation to place large size dishes into the interior. Also, you can cook at a larger scale using the Grande Turntable. Because the inner space has been increased so the turntable is a little wider so that you can cook with larger plates of foods. 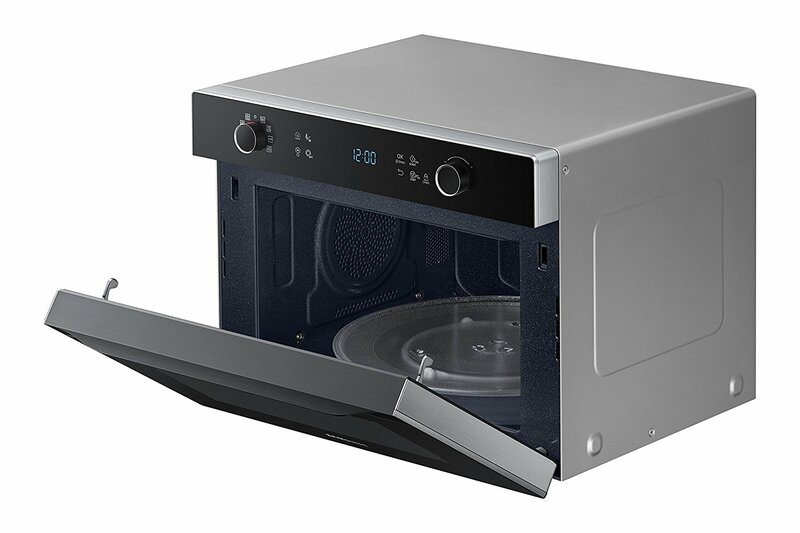 Apart from all these, this Samsung 35 liters microwave comes with a ceramic interior that is very easy to clean and free from all types of scratches. Since the cavity has plane surface so it can be cleaned very easily without scrubbing or any other discoloration problems. Such types of cavities are also anti-bacterial because they are highly rust and scratch resistant. 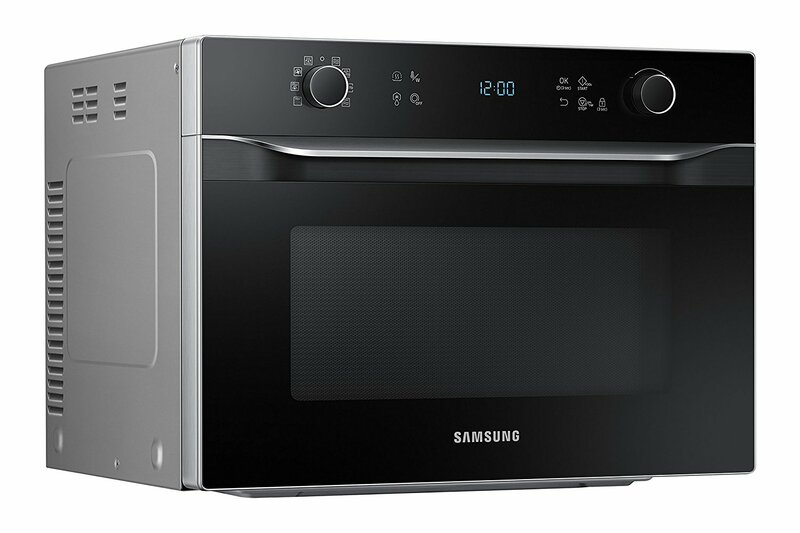 On the other hand this Samsung convection microwave oven uses Slim Fry technology that is good for preparing healthier fried food without going through the route of deep frying. A Slim Fry technology has toe property of a combination of grill and air circulation to prepare crispy food with a touch of oil. 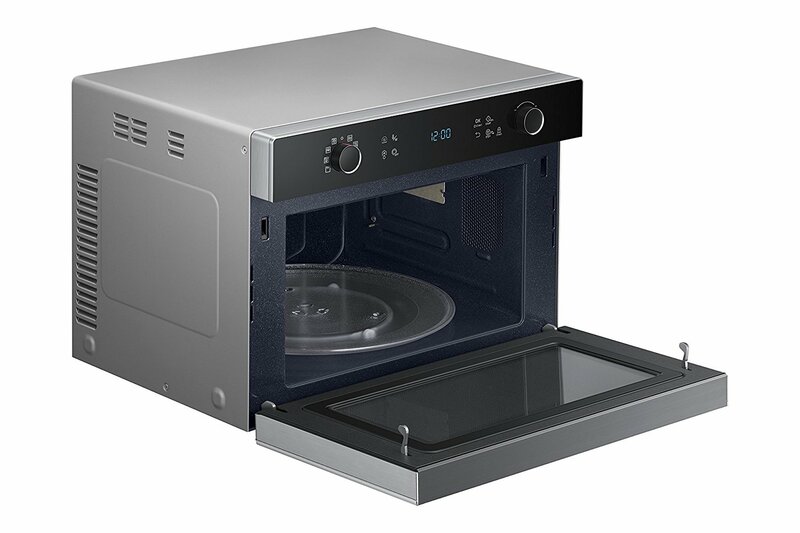 Further, it has Power Grill Duo feature that prepares perfectly grilled foods very quickly. Since it has a wide grill heater that delivers significantly more power to ensure consistent heat distribution.